The clamps used at CERTEX USA are individually proof tested to 2 times the working load limit. Each product is individually sterilized with the serial number and proof load test date stamped on the back. 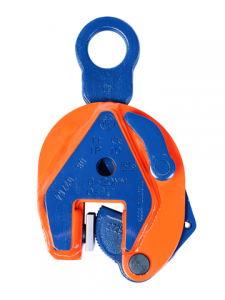 Whether there is a need for vertical or horizontal clamps, CERTEX has got you covered. Individually Proof Tested to 2 times the Working Load Limit with certification, all serial numbers are included on the test certificate with maintenance and warranty logbook information. Clamps are also available in capacities of .5 thru 30 metric tons and are wielded alloy steel body for strength and smaller size. Inspection and repair of all clamps is also a very big safety factor. 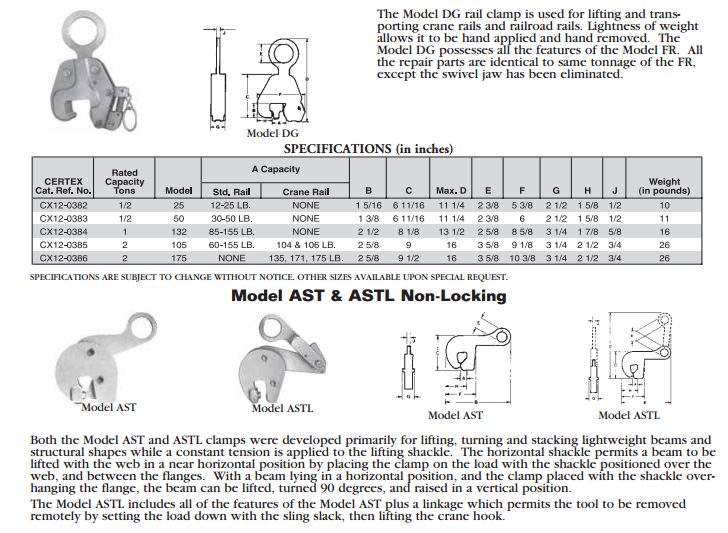 Please visit our site at CERTEX.com and download the full clamps specification PDF for all the information on clamps and related products and the safety precautions that need to be taken.